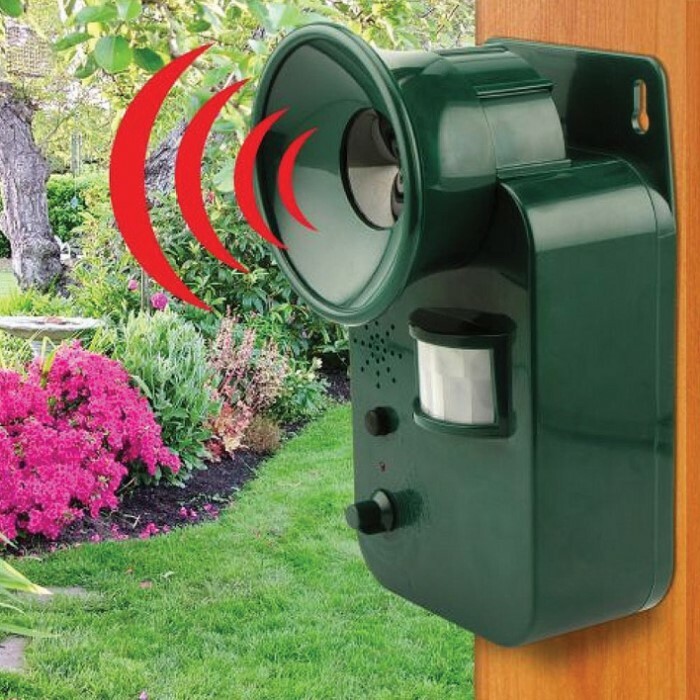 Ultrasonic Cordless Animal Repeller | BUDK.com - Knives & Swords At The Lowest Prices! Animals can be the worst pests when they are unwanted in your yard or garden. 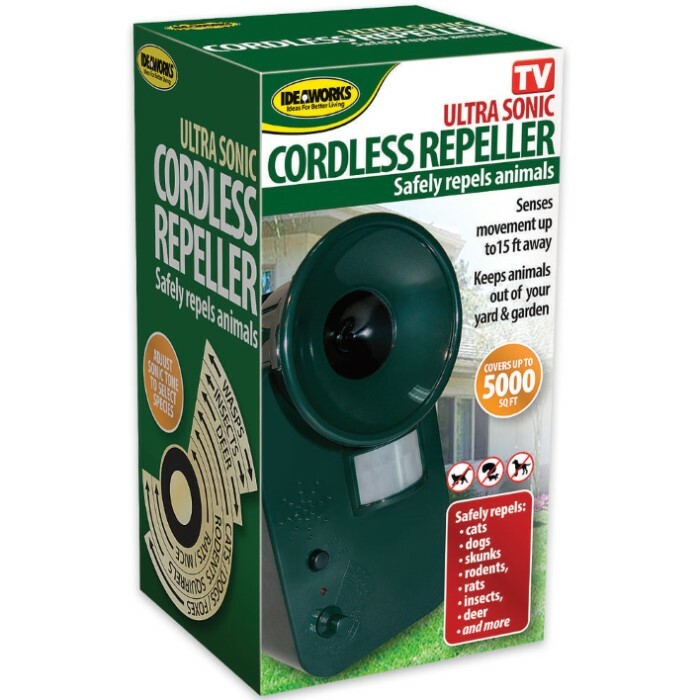 Don’t let them be a nuisance but get the Ultrasonic Cordless Repeller today! It will safely repel cats, dogs, skunks, rodents, bats, insects, deer and more. 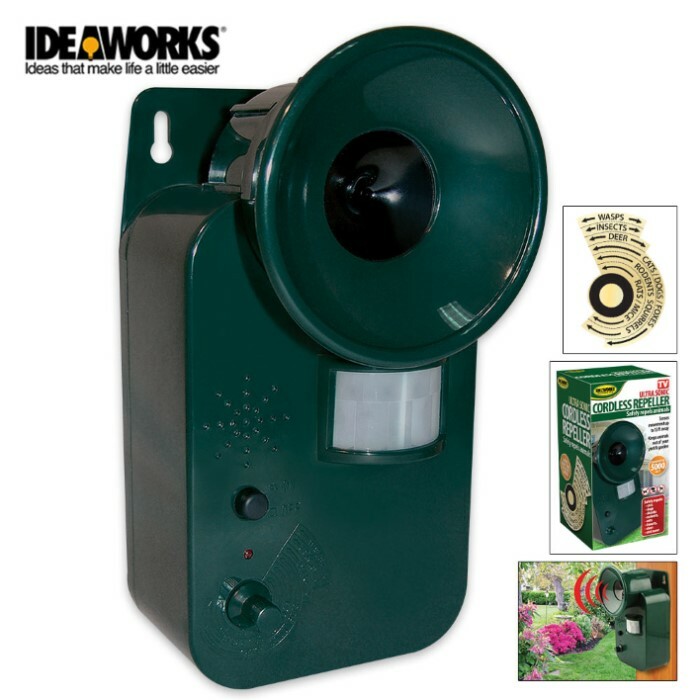 Simply set the dial to repel specific pests and the motion sensor senses movement up to 15-feet away and activates the ultrasonic tone. This repller will cover and area up to 500 square feet.